Robust industrial and isolated USB to RS485, RS422 and RS422 multimaster (multidrop) converter with terminal connection. Allows you to simply install a virtual COM port on your Windows PC. Robust industrial and isolated USB to RS485, RS422 and RS422 multimaster (multidrop) converter. Allows you to simply install a virtual COM port on your Windows PC. 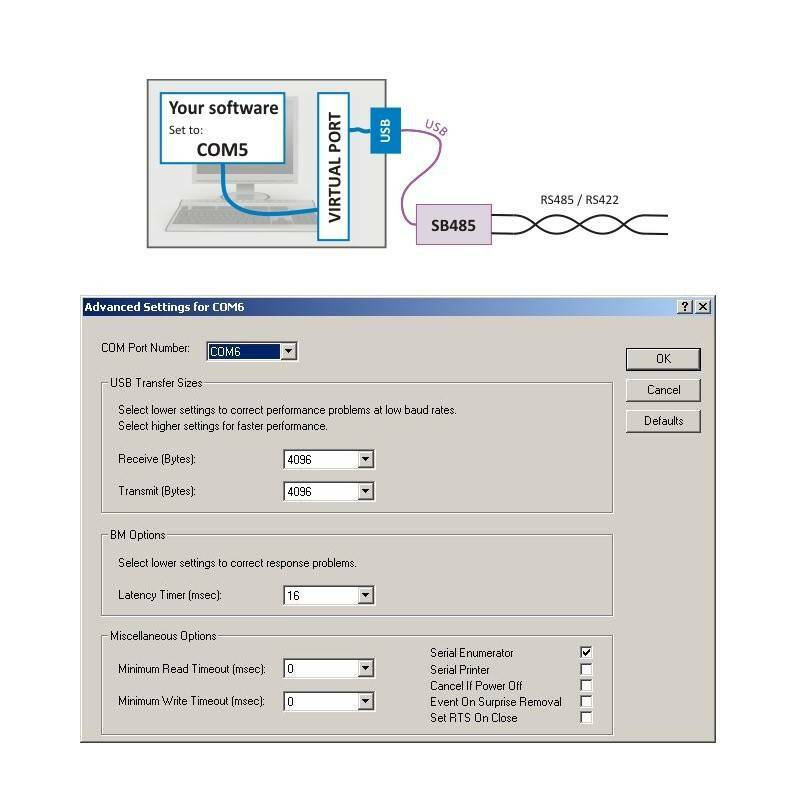 SB485 allows you to transfer smaller amount of data over grat distances using a common twisted pair cable. Maximum distance 1200m (4000 ft) is well suitable for most industrial halls and complexes. RS485 and RS422 line is commonly used in industrial environment for monitoring and control. Borth lines use differential signals making them very resistant against interference. With SB485 you can easily connect to these lines using your Laptop or PC. 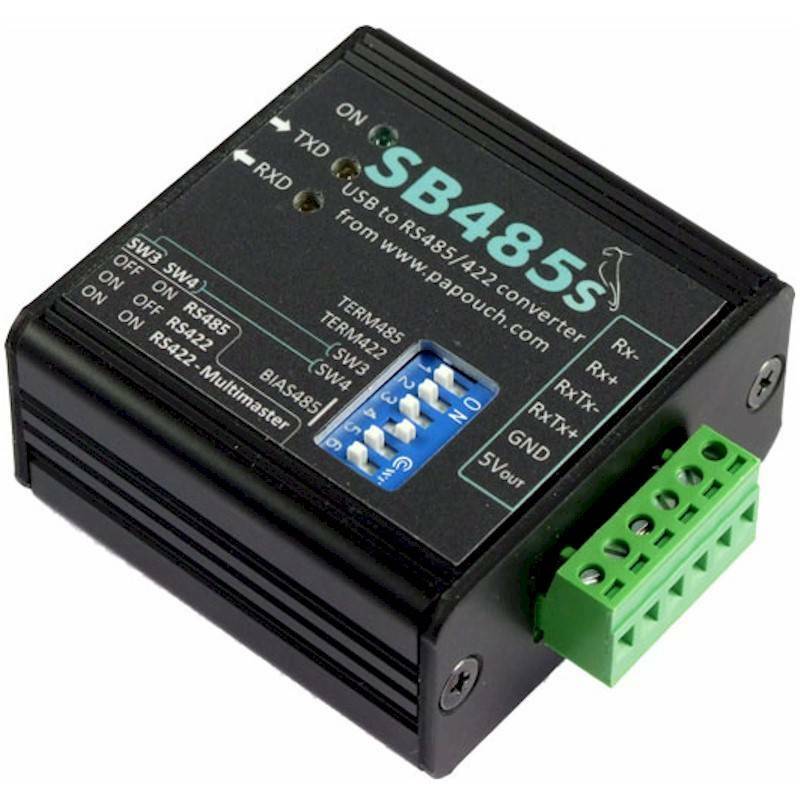 For the RS485/RS422 side we have used our well proved circuit connection from UC485 converter, which guarantees a great reliability and ease of use. 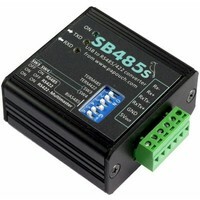 RS485 signals are tied to a slip-on terminal (SB485S) or D-SUB 9M (SB485C). 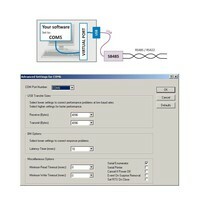 User can set either RS485 line (bidirectional communication over 2 wires), RS422 line (bidirectional communication over 4 wires) or RS422 Multimaster line (Multidrop).